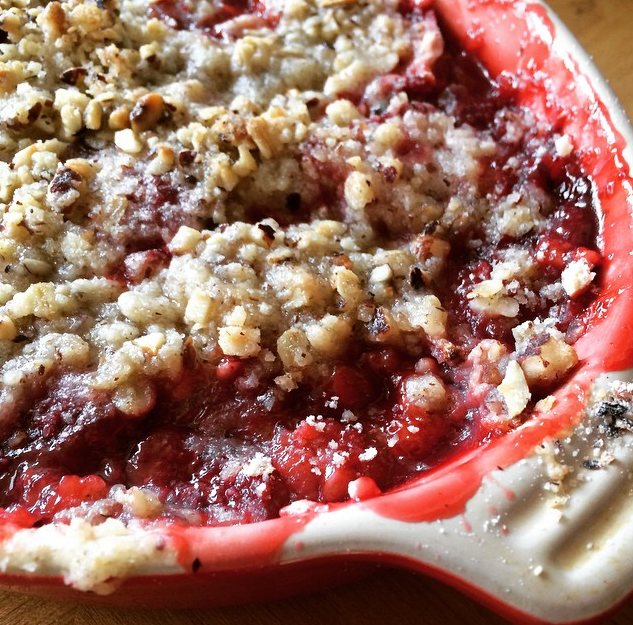 Strawberry-Elderflower Crisp with Hazelnut Topping. I foraged and picked the elderflowers. 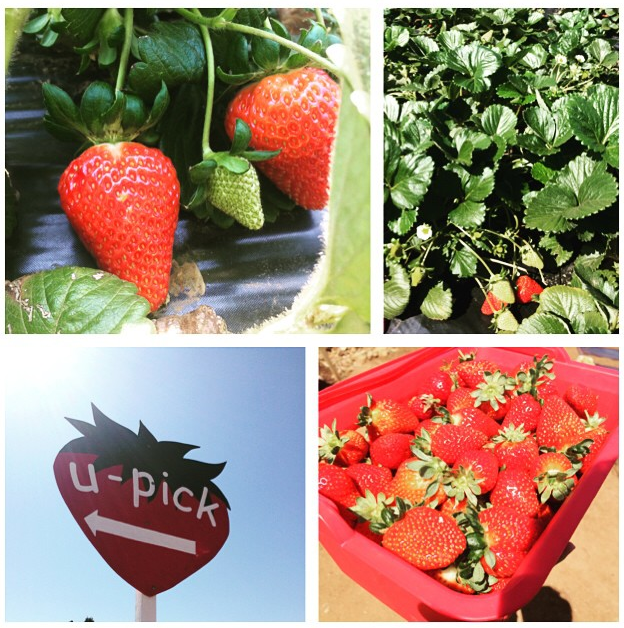 They are great with strawberries. 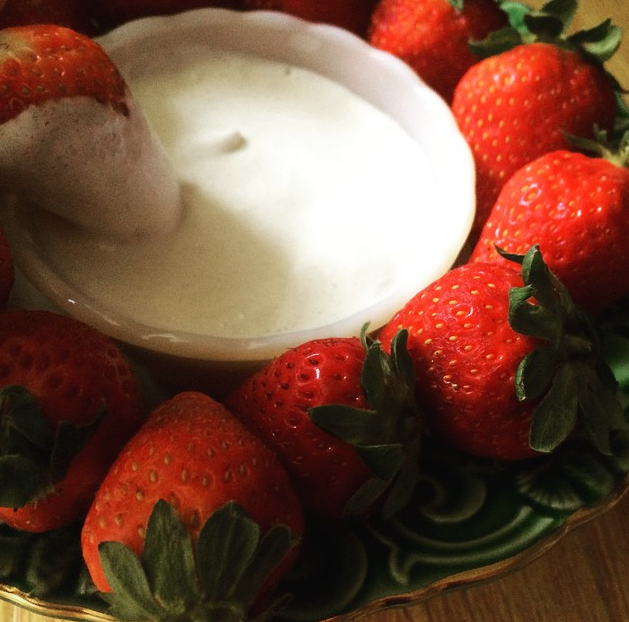 Strawberries are also amazing on their own or with this yummy So Delicious CocoWhip. I was inspired to make this bowl by one of Sam’s quotes from The Lord of the Rings: ROTK. 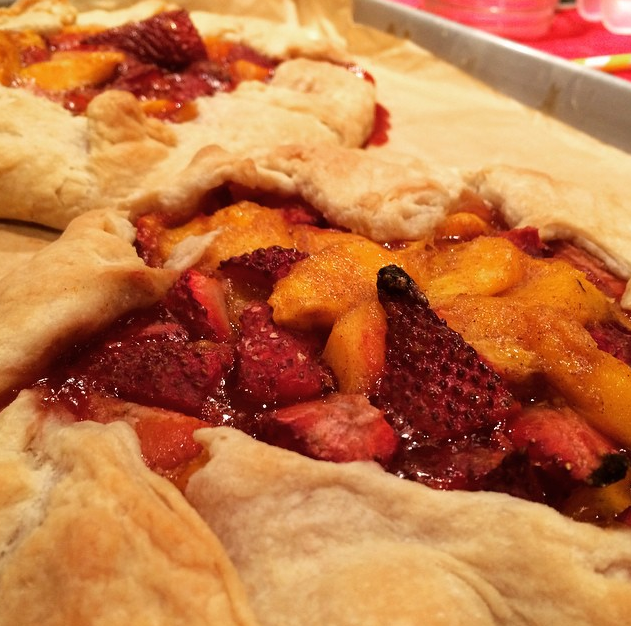 I even made this Strawberry-Mango Galette when I skipped off to Maui in March. 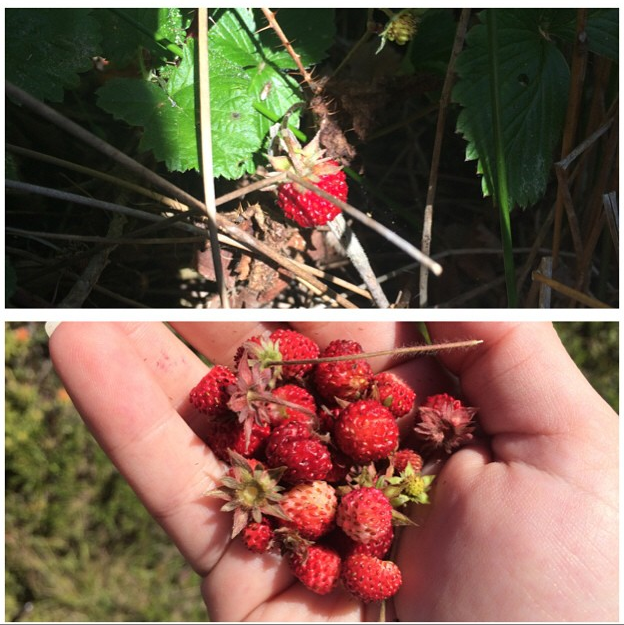 In April, I foraged and picked these wild strawberries in the Bay area on a beautiful hike overlooking the coast. I could have stayed out there all day, hunting for red treasures buried in shrubs on the hillside. 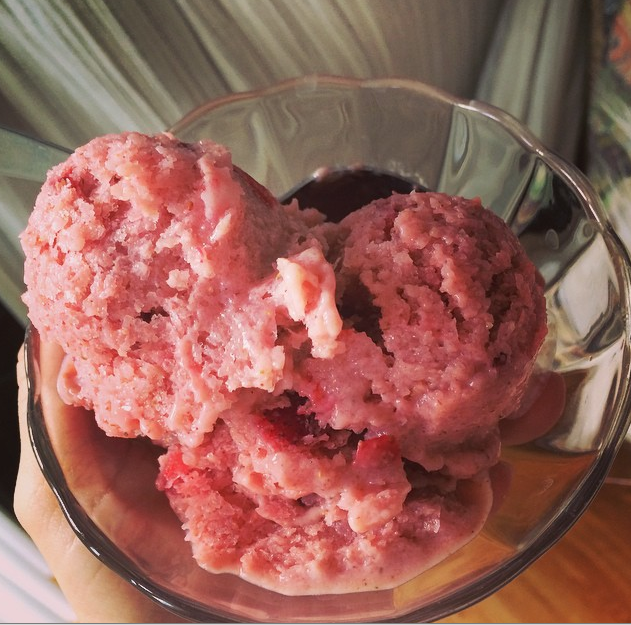 Foraged wild strawberries were turned into Vegan Strawberry-Chamomile Frozen Yogurt. 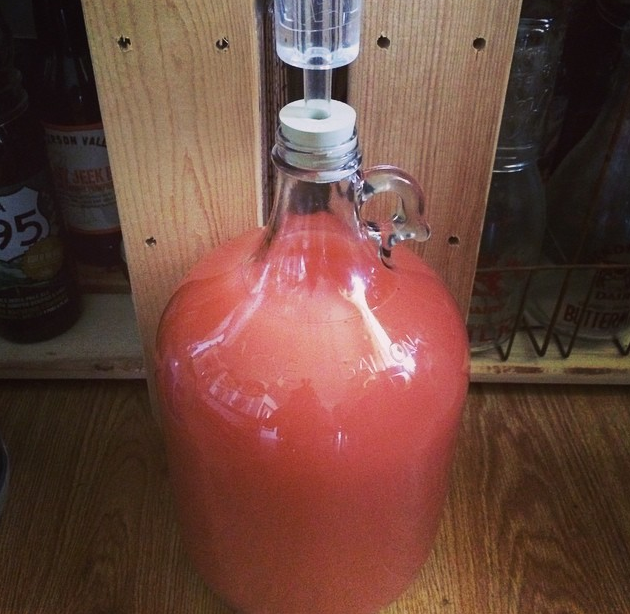 Strawberry Wine in the making. 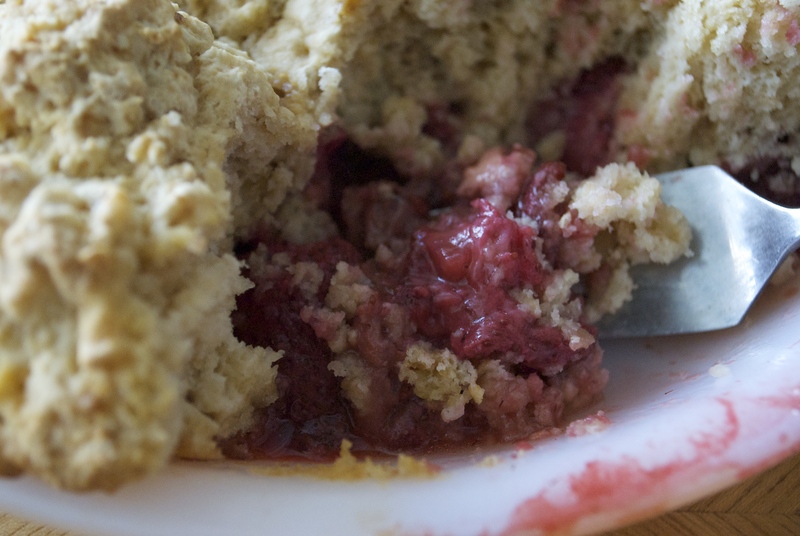 Red-ripe strawbs are still going strong throughout most of the country, so here’s a super yummy vegan version of this Roasted Strawberry Dumpling Skillet Cake by Joy the Baker. 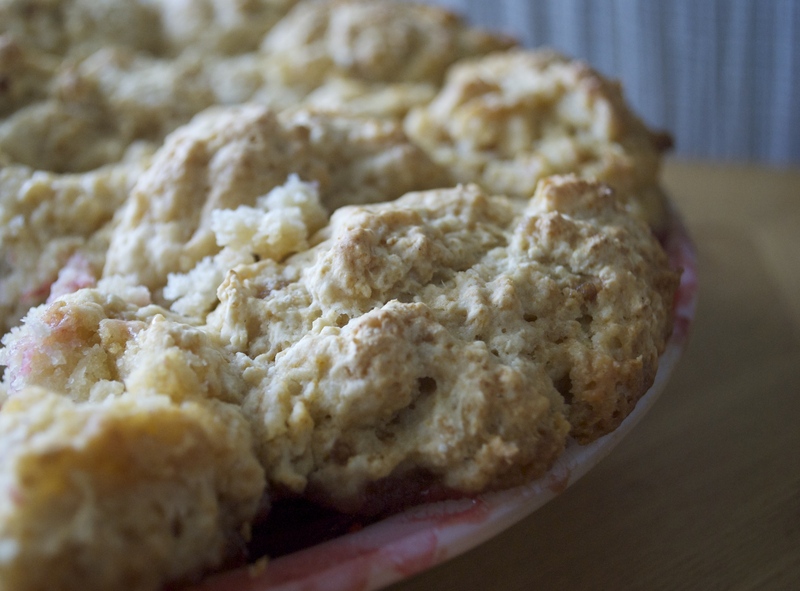 It’s sort of like a cobbler, only the biscuits are more dumpling-y. In any case, if you want to use a 9″ or 10″ skillet or pie dish, go on ahead and double the recipe for the filling and adjust roasting time with a couple of extra minutes. 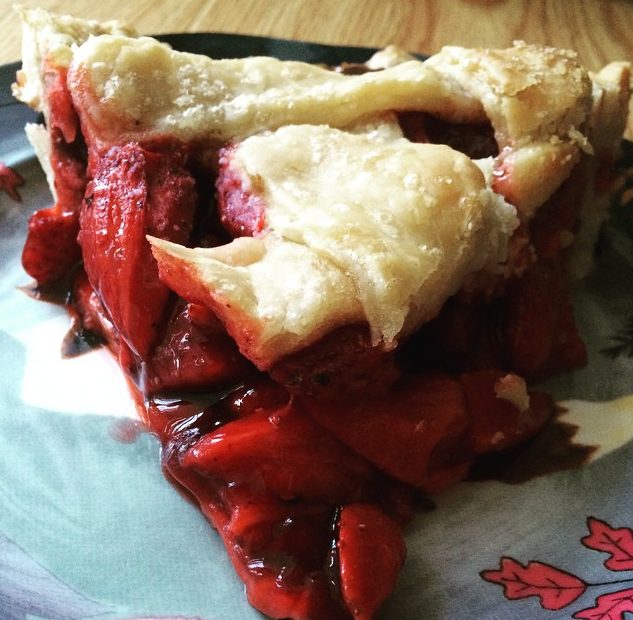 I found I didn’t have a skillet small enough, so I had to use a small, shallow pie plate. Preheat oven to 425°F. 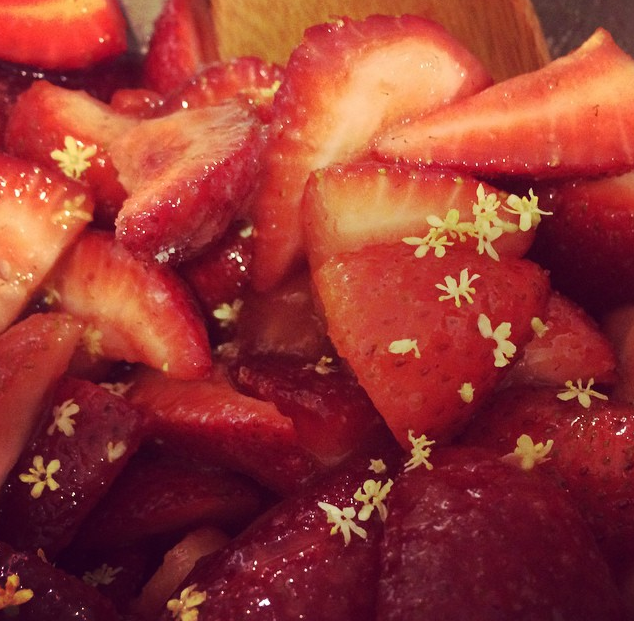 Place strawberries in an 8″ skillet or shallow pie plate. Dot bits of Earth Balance on top of the strawberries. Sprinkle the brown sugar over the top as evenly as you can. Roast for 12-15 minutes. 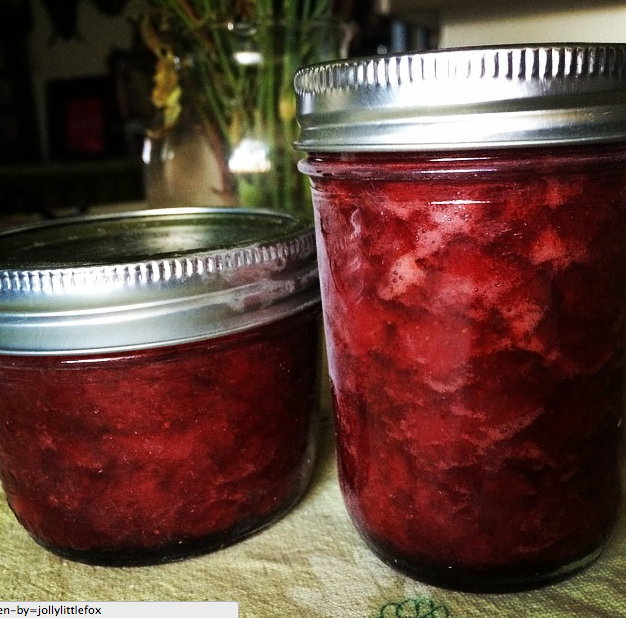 While the strawberries roast, make the biscuits. In a medium bowl, whisk together flour and brown sugar. Add the cold Earth Balance and use a pastry cutter to break the fat down into the flour and sugar mixture. The pieces of Earth Balance will be different sizes (all small though). Create a well in the center of the flour mixture and add the cold vegan buttermilk (1 c non dairy milk + 1 tsp apple cider vinegar). Mix. The mixture will be wet. 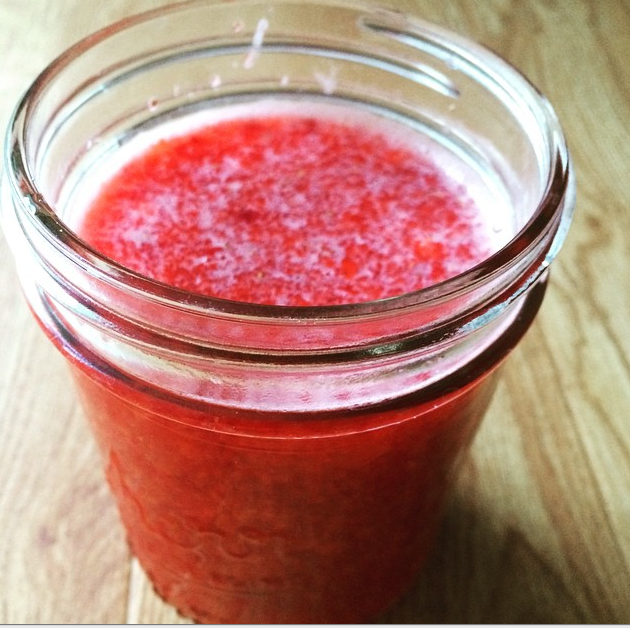 Remove the strawberries from the oven and place biscuit batter over the hot berries. Return the pie plate or skillet to the oven and bake for another 10-12 minutes, or until the biscuits are cooked through and golden. Remove from the oven, allow to cool. 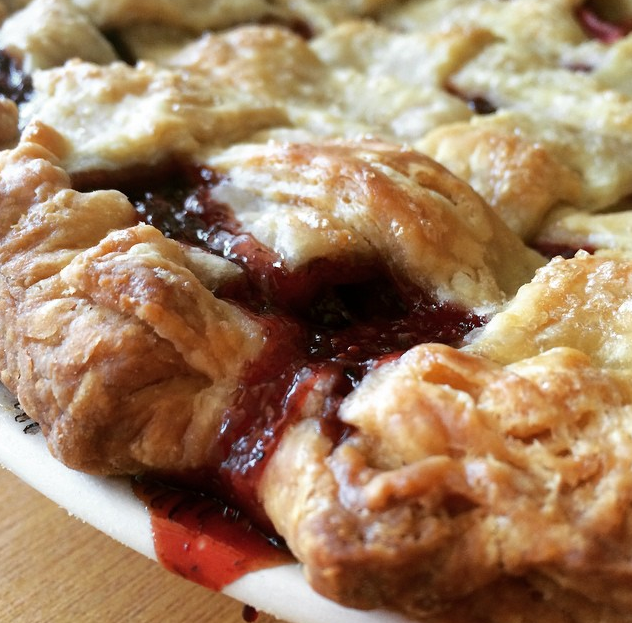 ← Plums, Pluots, Pie & Farewell to Yingst Ranch.